Whatever you’re doing: wherever you are. You need to stop doing it, and sit down, and read. This is important. It’s possible that there’s never been anything as important as this. This-right now-could be the apex of social importance. Ever. So listen up. 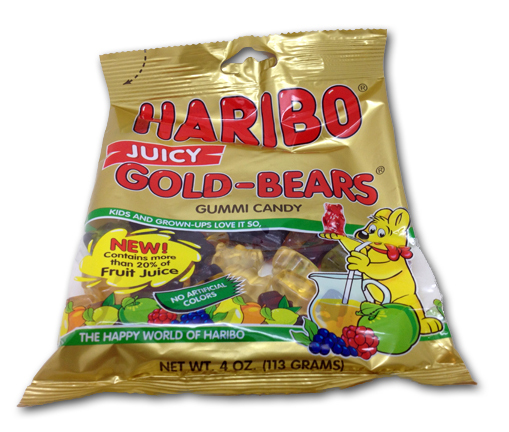 There’s a new bear in town: Haribo Juicy Gold Bears. I know. First instinct is confusion. 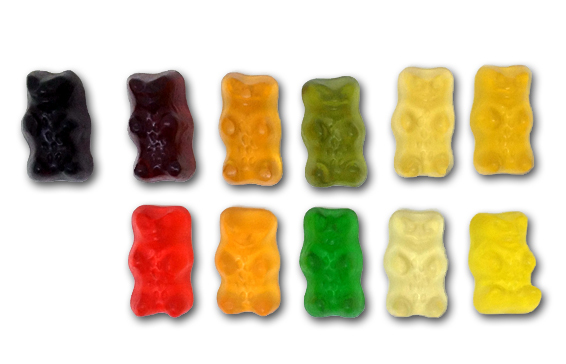 “But Jonny, Haribo already makes Gold Bears.” This is true. “But Jonny, you always say that Haribo Gold Bears are the best gummy bears-period.” This is also true. Or..this WAS always true-and still is. 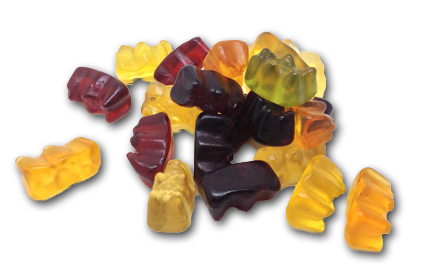 Haribo’s new variety of Gold Bears are called “Juicy Gold Bears”. Why? Because they contain at least 20% fruit juice. That’s cool. I always enjoy real juice in gummies, it almost always brings out the full flavor of the fruit. I was guessing that these were simply the same flavors, but juice-ified. No, my friends. No. Although I’m semi speechless, I’m not wordless. Or typingless. Therefore, we continue. In addition to the extra fruit juice punch, these bad boys feature no artificial colors, something that’s always appreciated. It all comes down to taste, though. So how do these fare versus the original Gold Bears? I’ll start by saying there’s certainly room in this world for both. However, if given the choice, I’m reaching for these Juicy Bears, at least until the novelty wears off. Why? Black Currant is why. Lime is why. And let me tell you something- PEACH IS WHY TOO. Add pear to that? I’m sitting in butter, literally. These new flavors, combined with the soft, juicy tartness that real juice provides…is just a super winning combination. There’s definitely, as I said before, room for both of these varieties in my life. 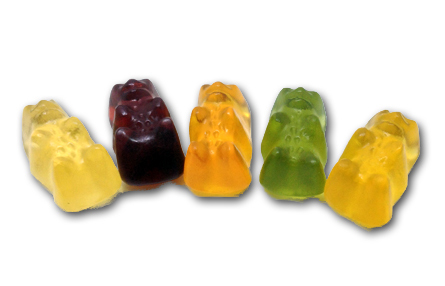 For now though, I’m going to focus on these newfangled Juicy Gold Bears, as they’re such a great combination of unusual gummy flavors & the classic Haribo bear feel and chew, and thus, they win life. They certainly win the gummy of the year for me so far, and I bet you’ll agree. I got mine at World Market-they seem to be a new standard item for them. However, if you prefer to shop via the web (if you’re a hoarder, for instance, and don’t like/aren’t able to leave the house anymore), then click away at the link below. This one is a no brainer, and an easy Editor’s Choice selection. Oh, I’m SO SORRY I wasn’t more thorough MATT. They’re made in Germany, but in the American pipeline, still not widely available. You can get them on Amazon, but I gave the link to Germanshop24 because it’s a better deal. Is that ok, Matt? That I CARE ABOUT OUR READERS AND WANT THEM TO GET A BETTER DEAL? I hate you so much. Hm. Still not clear. Let me see if I get it: Haribo makes candy, you say you like it, you tell us to buy it, and you hate people who ask wonderful questions? My mouth is watering. Litereally!!! Just bought some from Rite Aid. Do you have an email address for the company or Yourself? I need to contact HR or the owner please.